My name is Shane Bradley. I am homeless because my parents both died and I couldn’t pay the mortgage on their house, where I was living in Rathmines, Dublin. My ma died when I was 10. She was 29. My da died eight years ago. I ended up homeless then. 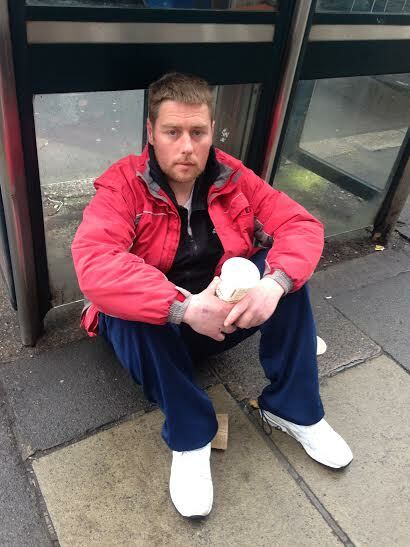 I am trying to get 25 euro together today for a hostel for the week or I am on the streets all week. The winter was horrible. It’s funny because I was brought up quite middle class. Anyone can end up homeless. 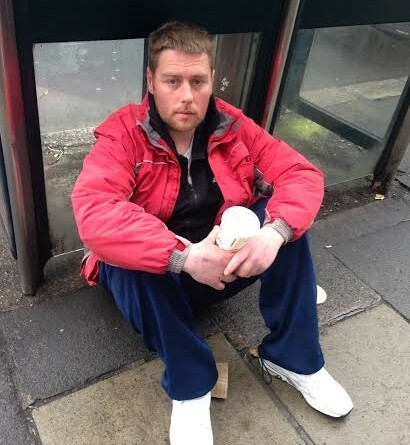 I just couldn’t afford the mortgage and there was no help for me so I have been on the streets eight years. A lot of homeless people take drugs or drink to get through it because it is very tough on the streets. I feel like not much longer and that will be me. Just to escape. The Government aren’t doing anything for us. They should be housing people like me. I am a human being. I have been attacked five times on the streets. Most of the time, no one even talks to me. I might as well be invisible. 8 years? Jeepers! Not to attack the victim here but how long had the mortgage been in arrears? It’s not very likely that the home would be repossessed that quickly. But then maybe it was and it was an exceptional case for some reason. I wonder has he thought of getting out of Dublin. It’s the least affordable place in the country.